5754 aluminum sheet and 5052 aluminum plate are all 5000 series anti-rust aluminum alloy. This Al- Mg alloy is with medium strength, especially with anti fatigue strength, high plasticity and corrosion resistance, no can be heat treatment, good weld-ability, and can be polished. 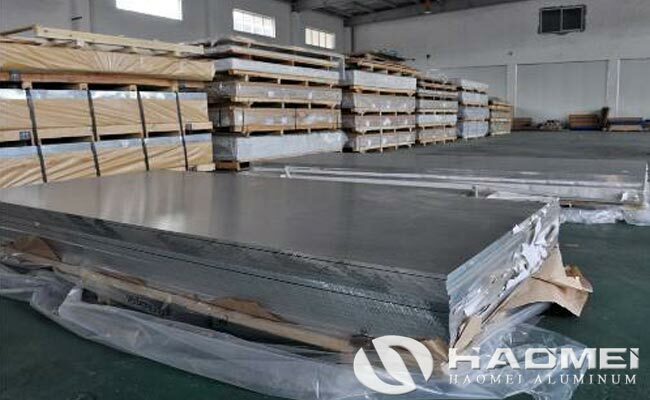 5052 and 5754 aluminium plate is mainly used for low load parts that require high plasticity and good weldability, working in liquid or gas medium, such as oil tanks, gasoline or lubricating oil ducts, various liquid containers, and other small load parts made with deep drawing. Besides it is widely used in welding structure, tank, pressure vessel, ship structure and marine facilities, transport tank and used for places need good processing performance, excellent corrosion resistance, high fatigue strength, high weld-ability and medium static strength. The chemical composition of aluminum plate 5052 and aluminum plate 5754 are different. 5052 aluminum has slightly higher magnesium content than 5754 aluminum alloy, 5052 has better hardness, 5754 has better toughness. Specific to application, 5052 aluminum plate is used for the manufacture of aircraft tank, oil pipe, traffic vehicles, ship’s sheet metal parts, instrument, street lamp support, rivets, hardware products, electric – electric shell, and so on. 5754 aluminum plate surface processing quality is outstanding, and it can process various kinds of texture. Machinery treatment such as brushing, sandblasting, lapping, polishing and other application has highly satisfactory results.